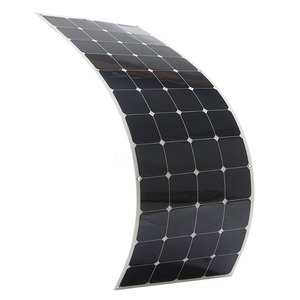 7 YRS Shenzhen Shine Solar Co., Ltd.
3 YRS Shenzhen Shine Solar Co., Ltd.
Once the PI has been confirmed and ordered goods are ready, a refund will not available for a canceled order. But a refund would back to you in time the case that we could not offer the products required in stock due to the shortage or unavailability. Q. Can I come visit your showroom and factory9 1) Welcome to visit our office and shop directly before establishing long-term business relationship. 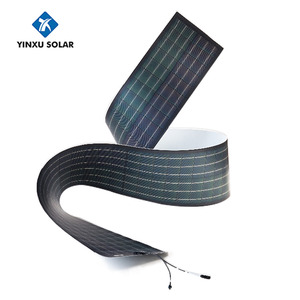 5 YRS Shenzhen Portable Electronic Technology Co., Ltd.
cheap sun visor monocrystalline semi flexible solar panel 30w 1)This product is a multifunctional solar charger, with dual output(5V&18V) which can charge for Iphone,Ipad,laptop very well. PDA, MP3, MP4, digital camera, video camera, PSP video games, iPhone,Blackberry , blue-tooth headset, IPOD etc at one time . USB interface output can be suitable for most digital products, Especially suitable for anywhere can obtain sunshine, realize high-efficient charging,use convenient and safe, environmental protection, energy saving. 2 YRS Shandong Yinxu International Trade Co., Ltd.
8 YRS Xiamen Solar First Energy Technology Co., Ltd.
1 YRS Shenzhen Tongchuangxinwei Technology Co., Ltd.
4 YRS Shenzhen Crystal Solar Co., Ltd.
1 YRS Anhui CANBANG Electric Co., Ltd.
1 YRS Ningbo Polycrown Solar Energy Technology Co., Ltd.
1 YRS Xiamen Eco-Sources Technology Co., Ltd.
1 YRS Guangdong Sunwing Solar Lighting Co., Ltd.
1 YRS Jinhua Dokio Technology Co., Ltd.
2 YRS Pingdingshan Sinoshine Energy Co., Ltd.
2 YRS Tianchang Shengri Solar Co., Ltd.
3, Affordable, delivery on time, 15-20 days lead time for glass solar panels, and flexible solar panels always have in stock. 4, Know well about solar energy industry, can provide specialized guidance to customers, such as the controller, inverter selection, the installation solution and so on. 5, as long as send an order to our company , you will always be our VIP customer, we will actively in updating and adjusting the product price regularly. 2 YRS Zhengzhou Haopai New Energy Technology Co., Ltd.
1 YRS Shenzhen Suojing New Energy Co., Ltd.
1 YRS SunMan (Zhenjiang) Co., Ltd.
5 YRS Shenzhen Xinhonghua Solar Energy Co., Ltd.
5 YRS Jiangsu Xingke Electric Co., Ltd.
Alibaba.com offers 30,581 flexible solar panel products. About 84% of these are solar cells, solar panel, 5% are solar energy systems, and 1% are other solar energy related products. 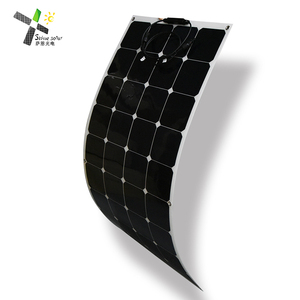 There are 30,581 flexible solar panel suppliers, mainly located in Asia. 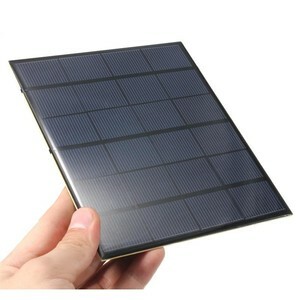 The top supplying country is China (Mainland), which supply 100% of flexible solar panel respectively. 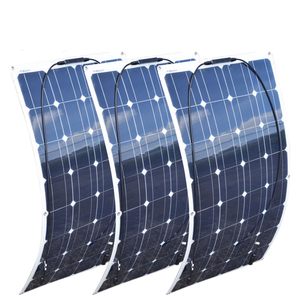 Flexible solar panel products are most popular in North America, Western Europe, and Mid East. You can ensure product safety by selecting from certified suppliers, including 9,891 with ISO9001, 4,615 with Other, and 4,159 with ISO14001 certification.